Gabriel Batistuta has advised in-demand Roma midfielder Nicolo Zaniolo to consider his options carefully in the summer and only commit to the club if he truly wants to stay. 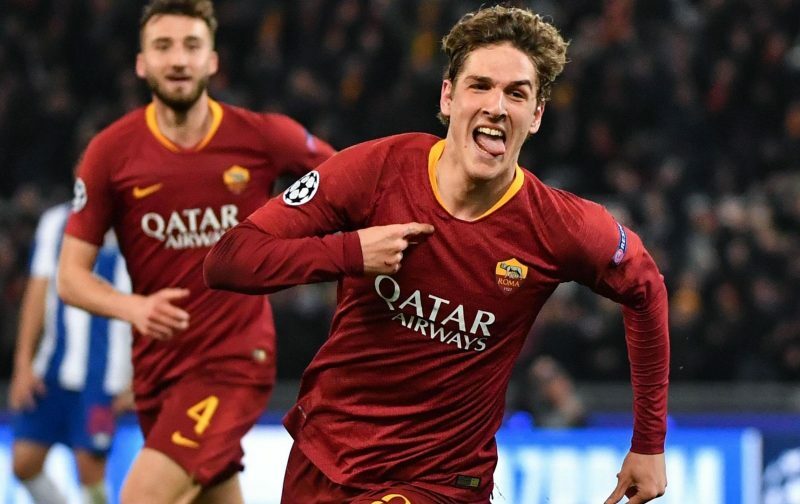 The teenager has proved to be a revelation in an otherwise underwhelming season for the Giallorossi, having arrived as makeweight in the deal that saw Radja Nainggolan join Inter last year. A series of stellar performances have led to him becoming a fan favourite at the Stadio Olimpico, but also roused interest from the likes of Juventus and Bayern Munich. “What matters most to Zaniolo is whether he wants to stay at Roma or leave,” former Lupi striker Batistuta declared in an interview on Rai’s Dribbling. Zaniolo has scored six goals in 32 appearances for Roma this season, with his form earning him a call-up to the Italian national team. Former Argentina star Batistuta represented the capital club from 2000 to 2003, netting 33 times in 83 games as well as firing the club to the Serie A title in 2001.